This is raw and unedited, COPYRIGHTED material from saving Reese. 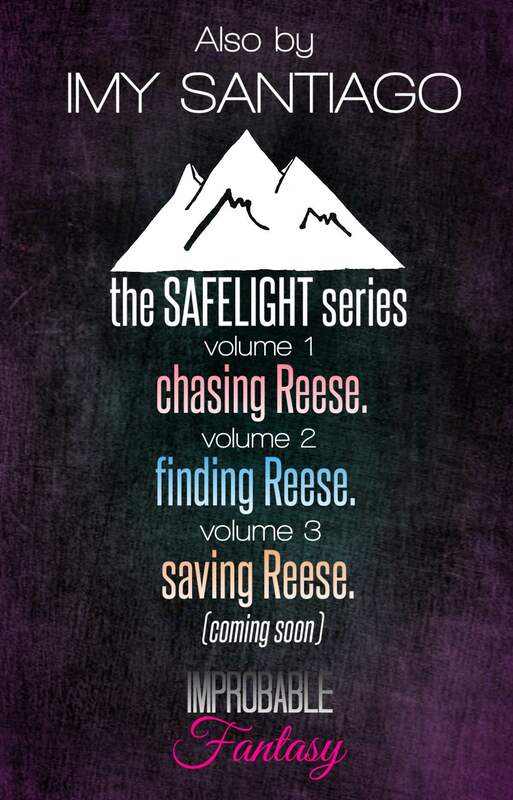 (SAFELIGHT #3) coming in 2016. “There was a time I believed in fairytales. But that’s just what they were, fairytales. Later on I understood that believing in them was an act that only a fool would do. With life came misery, and with misery came disappointment, and along with disappointment came heartbreak. Those were the things I vowed to never allow to happen again. I promised to not make the same mistakes again, but the things we plan seldom ever come to fruition…that there’s a greater plan in life—no matter what we do there are things we can’t control. In the midst of change you have to take a seat and allow life to run its fated course. The biggest mistake I ever made was to say never. As much as I swam against the current, the waves of destiny sucked me under, and like a weightless leaf I floated helplessly adrift towards destination unknown. Sometimes you need to lose all control in order to get a grip on life. I embraced anarchy—a mix of wild and reckless, that also brought me goodness amongst the chaos. I was foolish and adventurous. But like all water currents there’s a great divide, and the path you chose would be the one that defined you, shaped you into who you’d eventually become. For years I drifted. For years I made mistakes, but now it’s time to take ahold of my life and make something meaningful from it. My name is Jackson Reese. Reformed alcoholic and Olympic badass. All it took was for her to look at me once through her glasses. And that’s how I fell, and for her love I’m going to fight against the odds like hell. Copyright ©Imy Santiago, 2016–All rights reserved.